Following a job advert in the New Vision newspaper yesterday (Monday), where Serene Suites and Hotel in Mutundwe, Kampala is seeking to recruit a hotel and restaurant manager who should be a “White” and “Indian” respectively, the Equal Opportunities Commission (EPC) has come out to halt the recruitment exercise, questioning the criteria that the management used to seek employees of that caliber. The advertised job opportunities yesterday created furious online discussions among Ugandans. 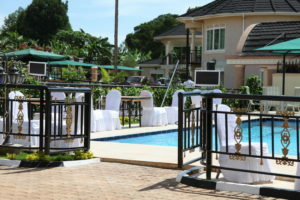 The EPC, a body mandated to eliminate discrimination and inequalities against any individual or group, has blasted the hotel management for discriminatory conducts on basis of race, color and ethnic origin contrary to what is stipulated in the Constitution of Uganda. According to a statement issued by the Secretary to the commission, Mr Mujuni Mpitsi Pac Lawrence, the commissions has started to investigate the matter and the Mutundwe based hotel is ordered to explain to why they seek to recruit as advertised. “You’re hereby directed to make ordered to make a written explanation as to why your hotel seeks to recruit for the above mentioned positions taking into account the prospective applicants’ race and/or origin. The written must reach the commission offices by close of business on Thursday 15th February, 2018,” reads in pars the commissions’ letter. The commission also directed the hotel management to halt the recruitment process for the two positions pending investigations into the discriminatory matter. The hotel management is yet to comment on the matter that has raised public anger given the unemployment status in the country.